As usual it`s mostly due to coincidence I get in contact with my victims whom I am to nuisance for old motorcycle photos. John Boija jr. is one of those. 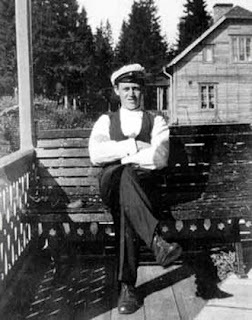 His interest in family heritage is presented on a dedicated website, http://www.boija.com/ . Here is shown a small image capturing his grandfather John Boija Sr on an Indian motocycle and side car. OK, alarm bells are now on and I need to get in touch with the owner of this page to learn more. It showed up with John Jr`s response to my e-mail he is in Afica and I am told to contact him later, which I did and this is the result of what John Jr had to share with us from his Grampa`s time as an avid motorcyclist. 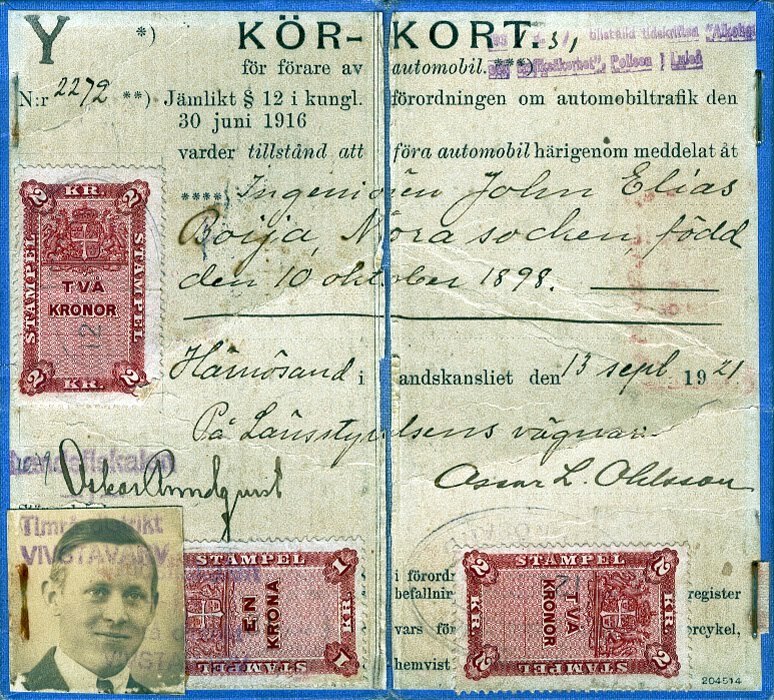 John Boija Sr was born in 1898 and grew up on Granholmen, a small island in the river Ångermans located in the rural part of mid-Sweden. This island was the final location for all timber floated down the river to reach the sea. John was from young years very interested in all technical. Growing up close to a huge steam driven saw mill allowed him to work with steam boilers, mechanic and even electrics in his school holidays. In 1913 at the age 15 John left elementary school to start a 5 years education as an engineer, this a natural choice of study based on his interests. When John got his exam in 1918 he was ready to start his working career with a local factory, this wouldn’t last long as he three months later was enrolled in the army to serve his country. John was not ready to continue his career as an engineer in thermodynamics until 1920. 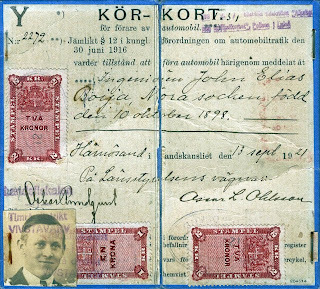 With a permanent position comes income, a driving licence was handed over from the authorities in nearby Harnøsand in 1921 and soon after in the spring of 1922 his savings allowed him to buy his first motorcycle. His eyes fell on a used but not abused Swiss made Moto-Reve from the late teens. This little belt puller could under optimal conditions deliver 4hp with its v-twin engine of 500cc displacement. John enjoyed many miles on Y 241 and they where a happy couple for two years. As with most others bitten by the motorcycle bug there will always be an urge to get more cubic inches, power hence speed. In 1924 John traded his little Swiss companion in an early Indian. Y 108 was according to its registration a 1924 model Chief, the models third year of production, to be continued until 1953 when the wigwam finally closed. Owning this huge 1200cc / 74” side valve v-twin must have been like stepping into another world in motorcycling for young John. An Indian Chief motocycle, brand new out of the Sprigfield wigwam. The mighty Chief would easily carry any load up a steep hill, running beside or passengers out to push is now all forgotten. Neither is there any slipping belts during rainy days as the Indian was running a chain drive. Captivated by his Indians capability of speed John soon became involved in racing, this as we know means ice racing during winter as this is the only time of the year mother nature provides enough flat space in the North of Scandinavia to allow for a race track. If Johns racing led him to any local fame is unknown, but we could only imagine the fun and thrills he gained. John stayed with his Indian for six years until the spring of 1930. His transport was now carried by a Citroen car bought a year before he finally let his Indian go. John continued his interest in motoring tough now with cars as well as he became a successful entrepreneur, but hey that is another story which you can find more on at John jr.`s site (if your read Swedish).